School holidays time for many working parents = logistical nightmare! What do you do for childcare when you’ve used up all your annual leave and called in favours from everybody and his dog? Taking your child into the office might be your only option, especially if the babysitter cancels at the eleventh hour. Seems like a good idea at first, when it solves the problem of who will supervise your child that day, but doesn’t the saying go that children and work don’t mix?! With some simple preparation, however, you can ensure it’s an enjoyable experience for all involved…perhaps even a special day out your child won’t forget! Here are my tips to successfully manage taking your child to the office for the day with as little stress to you (or your colleagues) as possible! Ask your manager for permission before bringing your child to work and, assuming your manager says yes, give your colleagues a heads up too. You may be surprised to find that someone will be happy to keep an eye on your child for part of the day. On the day prior and then again on the morning of the workplace visit, chat to your child about what to expect. Explain that it will be a fun day and a new, exciting experience, but that lots of grown-ups will be working and the child will need to be quiet and stay at your desk for the day; wandering around or making loud noises is not allowed. Preplanning activities and bringing along tools and materials is essential for keeping kids entertained. 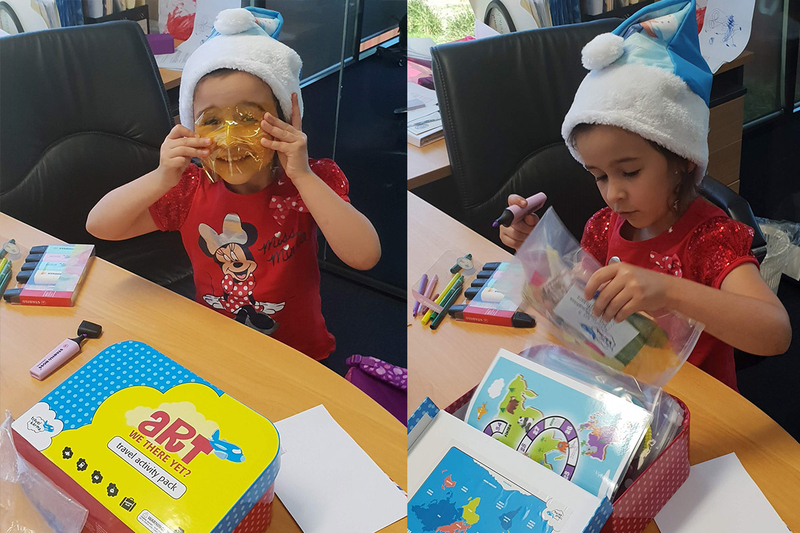 Activity packs including board games, colouring books and crafts are a great idea and perfect for kids who are stuck in one place for a long time. Try the Travel Karma ‘Art we there yet?’ jumbo pack originally designed for entertaining kids on long haul flights. Pack lots of separate snacks that you can hand out over the course of the day. Include the standard healthy options, plus one or two treats your child may not usually get at home. Taking your child to a restaurant or café for lunch will be a real treat, and a good chance to talk about how the day is going. 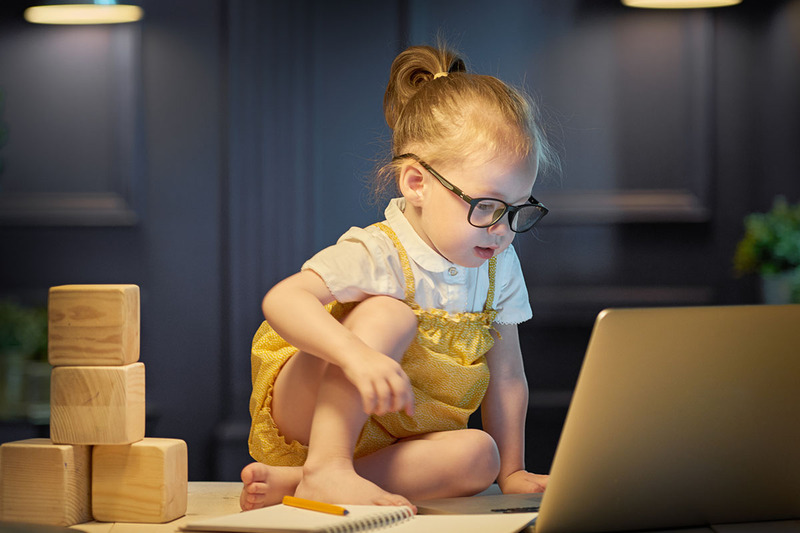 It will be a unique opportunity to connect with your child and talk about your job, how you work with others and what happens in an office, while creating a special memory for your child. I have fond memories of my father taking me to his workplace when I was a child, and I really enjoyed having lunch with him on these special days. Bring the tablet with some games and apps loaded. This can be used later in the day if your child is getting tired or bored sitting in one place. Technology can be brought out as a reward to keep children going a little longer. Because sometimes you have to do whatever it takes! Tell your child at the beginning of the day that by being very good all day, he or she can have a treat on the way home. I recently took my daughter to work with great success. 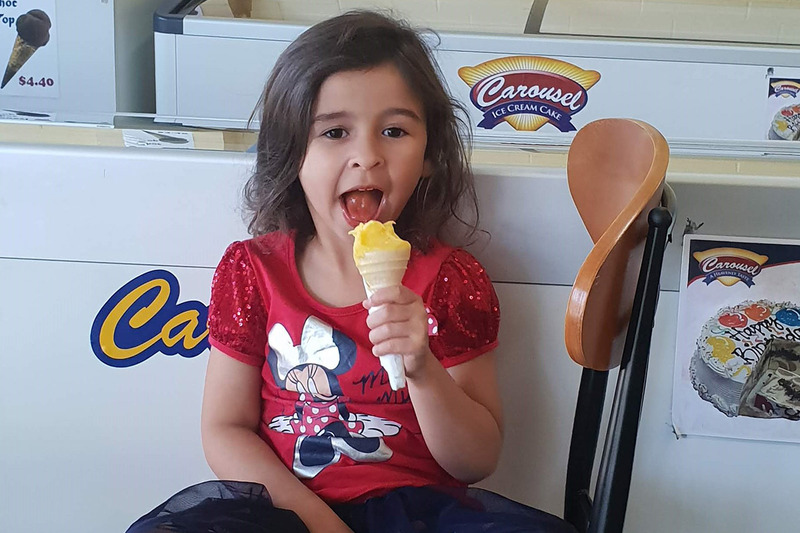 On the way home, we visited an ice cream parlour close to the office and she loved it. I commented on how well behaved she had been all day and she said, ‘Yes Mama, I really wanted an ice cream at the end of the day, so I was very good!’. Written by Kristen Dias. Kristen is a mum, teacher, former expat (she taught in India for six years), corporate education professional and entrepreneur. Kristen recently started her own business, Travel Karma travel activity kits for kids.